Over two years ago, California Heat Hockey Director Alec Benson-Dunn began moving his club toward achieving status as a USA Hockey Model Association in accordance with the American Development Model (ADM). The program went from one full-ice and one half-ice practice per week to all small-area/station-based practices. Dryland and off-ice training was increased, and the club began placing greater emphasis on building well-rounded athletes, not just hockey players. The transition is paying dividends. Benson-Dunn has not only seen improvement in skill development, but also an increase in the number of players returning compared to previous seasons. Last month, USA Hockey announced the Heat had earned Model Association status, demonstrating the organization’s commitment to provide skill development and programming in accordance with ADM concepts. Located in the heart of the San Fernando Valley, the club makes its home at the Valley Ice Center, one of several southern California rinks sponsored by the NHL’s Los Angeles Kings. Originally known as the West Valley Wolves, the program changed its name to the Heat in 2012. Founded in 1991, it is one of the oldest clubs in the Southern California Amateur Hockey Association (SCAHA). The Heat currently has nine teams from 8U to 16U. Though it’s currently not a AAA program, Benson-Dunn has seen many of his players advance to AAA status with other clubs, as well as junior, college and professional teams. The benefits of being a USA Hockey Model Association go beyond what takes place on the ice. Benson-Dunn, who played for the West Valley Wolves as a youth, takes pride in developing sportsmanship and leadership skills his players can use even after their hockey playing days are over. Some players have helped run practices for the California Condors, the first-ever ice hockey program in the state for children and adults with developmental disabilities. 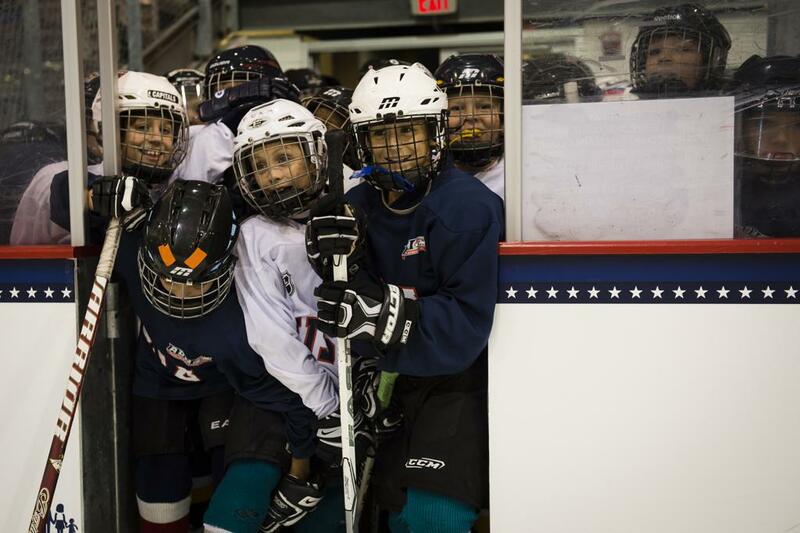 Many youth programs around the country have experienced steady growth from USA Hockey’s Try Hockey for Free Day, held in the fall and spring of each year. At the Heat’s first Try Hockey Day two years ago, about 14 skaters participated. Last spring, more than 70 kids showed up. At the suggestion of USA Hockey’s ADM Technical Director Ken Martel, the club began using figure skaters and professional figure skating coaches to work with young players for the learn-to-skate program. Benson-Dunn enlisted the help of his fiancé, former figure skater Nan Sanguansap, along with the coaching staff and Heat players to teach the younger kids basic fundamentals of skating. Benson-Dunn believes the greatest strength of his program is his coaching staff, and their total commitment to the ADM process. Aram Defterderian, the Heat’s 8U ADM director and coach, is completely on board. As the Heat prepare for the 2018-19 season, Benson-Dunn wants to capitalize on his club’s new model status and continue to push forward using ADM concepts.